Jeanneau 449 is a luxury sailboat from the Odyssey fleet, built for easy handling, speed, and performance. 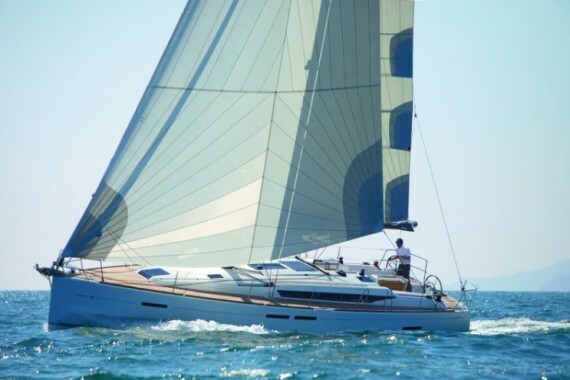 This sailboat is available for crewed or bareboat charter in Croatia. On the outside, this Sailboat is a beautiful sight. 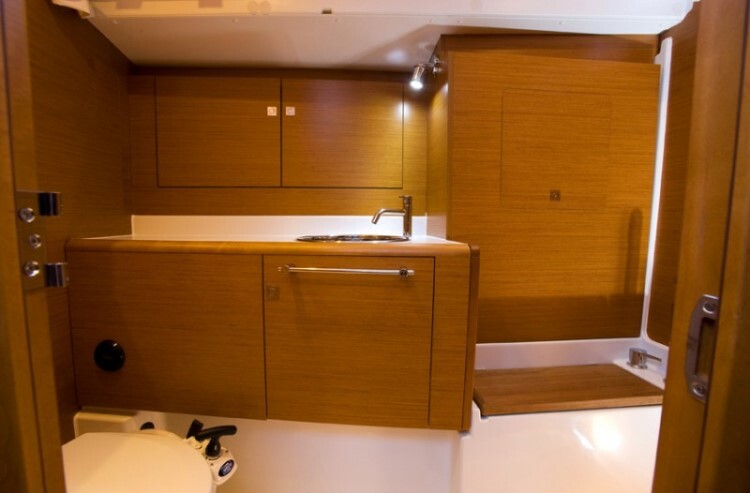 Large windows on the side, sleek lines, and a whole lot of space on the deck, free of obstructions. 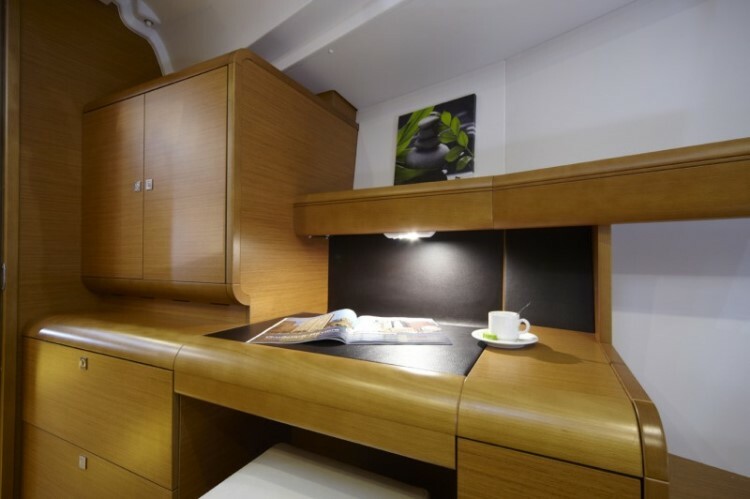 The redesign of the desk made it easier to get from a stern to bow more easily without obstacle’s. The cockpit is also large, with more than enough space to move comfortably. Even the table at the cockpit folds in and out depending on your need. 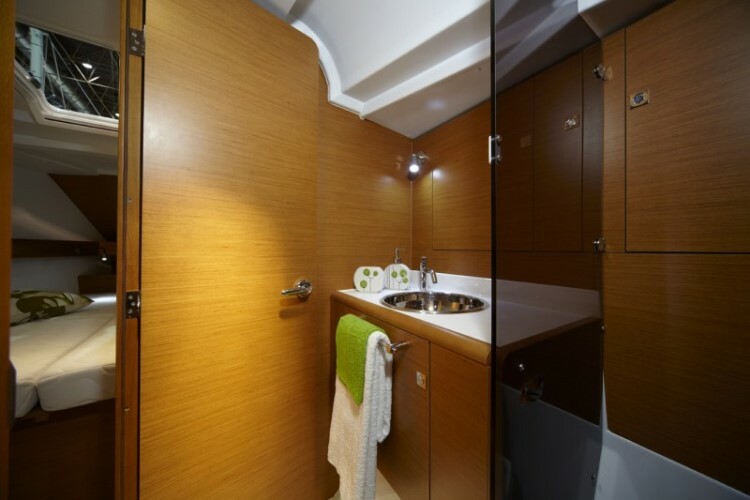 The inside of the Sailboat comes in 2/3/4 cabin version, with one consistency, a lot of free space. 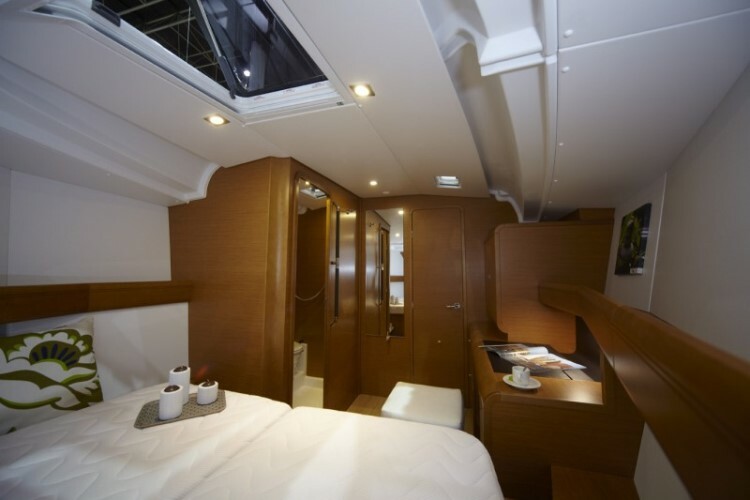 Jeanneau designers did a great job on the open built of the interior, with huge windows, and portholes allowing tons of natural light inside the boat. 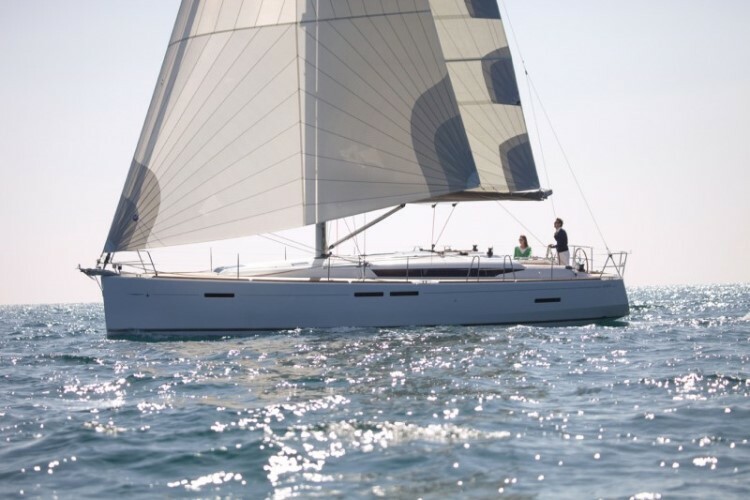 The materials used, combined with the perfect modern design, as in all Jeanneau models, Bring the Odysey 449 to a league of its own, in luxury, comfort, and smart modern style. Qui potete trovare le informazioni fondamentali di Sun Odyssey 449. 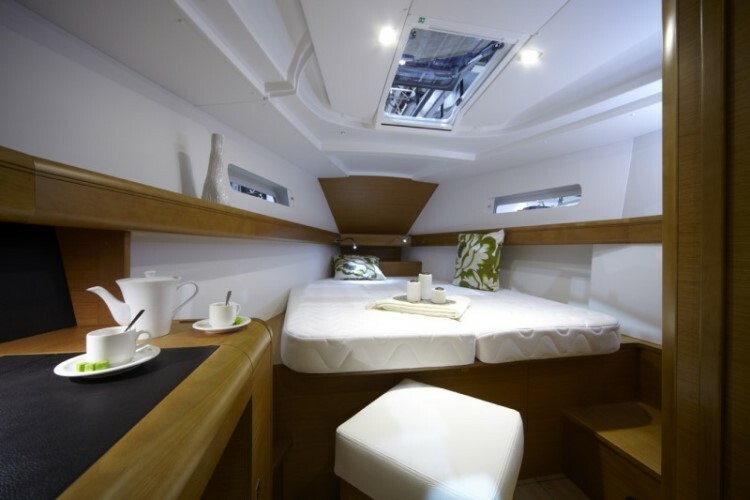 Tutte le altre caratteristiche possono variare da barca a barca pertanto vi consigliamo di cercare la barca particolareSun Odyssey 449 nella vostra destinazione preferita.